Marseille may just well take a mental advantage from the fact the UEFA Europa League final will be played in their native France - about three hours away at the Parc Olympique Lyonnais in Lyon. It's due to take place at 8.45pm local time tonight (May 16), so 7.45pm BST, 2.45pm ET, 11.45am PT or 4.45am on Thursday morning in Australia. It's taken eleven months and over 200 games to get here, but it's finally time for the Europa League final where Marseille and two-time winners Atlético Madrid will do battle in Lyon. It's looking like it could be a cracker and you can get a FREE Europa League live stream very easily (and legally) wherever in the world you are. This season's UEFA Europa League has been a competition high in both quality and drama and the final is looking like a classic case of the irresistible force coming up against the immovable object. Free-scoring Marseille - lining up with the attacking talents of Dimitri Payet and Florian Thauvin - have been involved in 5+ goal ties in each of the last three knockout rounds. While Diego Simeone's Atlético are more famous for their miserly defence, despite boasting the likes of Antoine Griezmann and Diego Costa upfront. But if you've landed on this page, you probably know the preamble and just want to find out how to watch the UEFA Europa League final live stream for free. Well it comes down to just one word if you're in the UK...YouTube. And even if your somewhere else in the world, we've got a trick up our sleeve to get you that free Europa League final live stream wherever you are on Earth. Despite BT Sport having the rights to show every stage of the Europa League exclusively in the UK, last year it broadcast the final live and for free on the BT Sport YouTube channel. 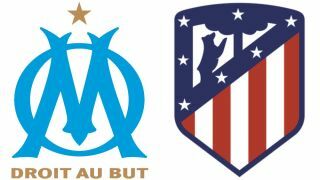 This Wednesday's Marseille vs Atlético Madrid final will be exactly the same. Fantastic news if you wanted to catch the action but don't want a full-blown BT Sport subscription. BT has also confirmed that this will be the case for the Champions League final on Saturday May 26. If you're already a BT Sport subscriber, the coverage starts on BT Sport 2 at 7pm BST. That goes too on the BT Sport app that's available on tablets and mobiles, so you can watch on the go. And BT Sport is also showing it gloriously on its BT Sport 4K UHD channel. BT has confirmed that the YouTube live stream will only be available within the UK. Simply open the VPN app, hit 'choose location' and select the appropriate location - it's super easy to do. Choose UK to stream Marseille vs Atlético Madrid on YouTube (use the links below). The service is free and the best legal way to stream all of the action at this year's Europa League final live. Where can I watch the Europa League final using a VPN? A VPN will enable you to watch Marseille vs Atlético Madrid from literally anywhere. So that obviously includes: France, Spain, the United States, Australia, Japan, Italy, Poland, Germany, Mexico, New Zealand, Czech Republic, Ireland, Austria, Thailand, Canada, Australia, Denmark, China, South Africa, Argentina, Singapore, Turkey and more!